THOR Spring Nineteen-katalogen kommer i en ny design och med nya produkter! 2019 marks a year of revolution and innovation from THOR. 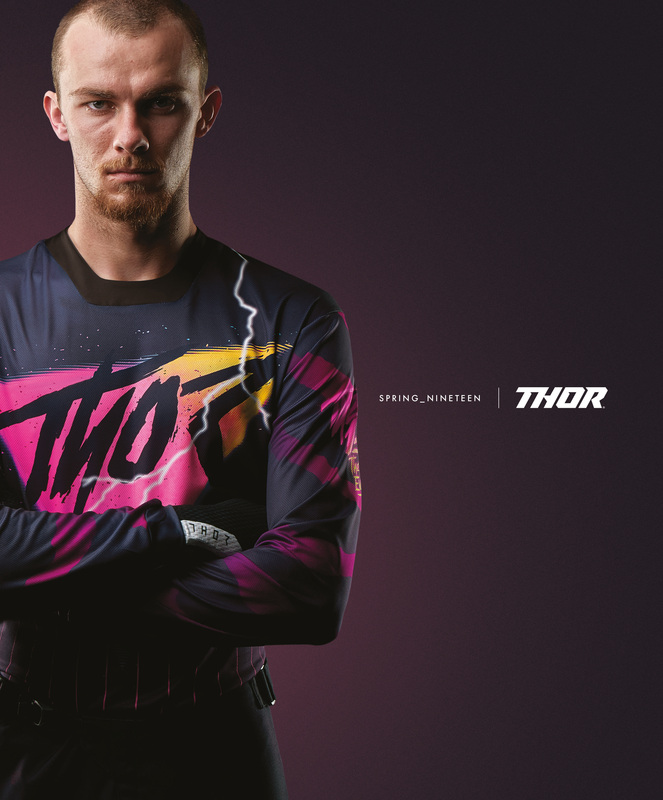 Inspired by athletes that continue to push the boundaries of motocross performance, the THOR 2019 Spring collection breaks new ground in both design and function. 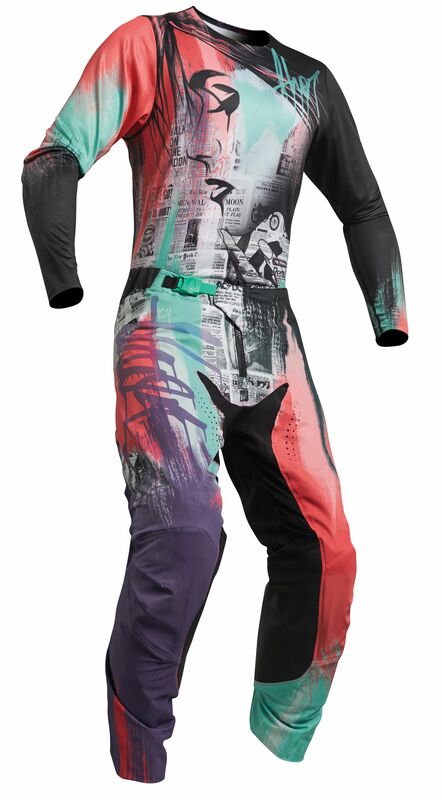 From our diverse racewear collection to the all-new Radial boot, each product has been carefully crafted to make riders next gate drop the best one yet. 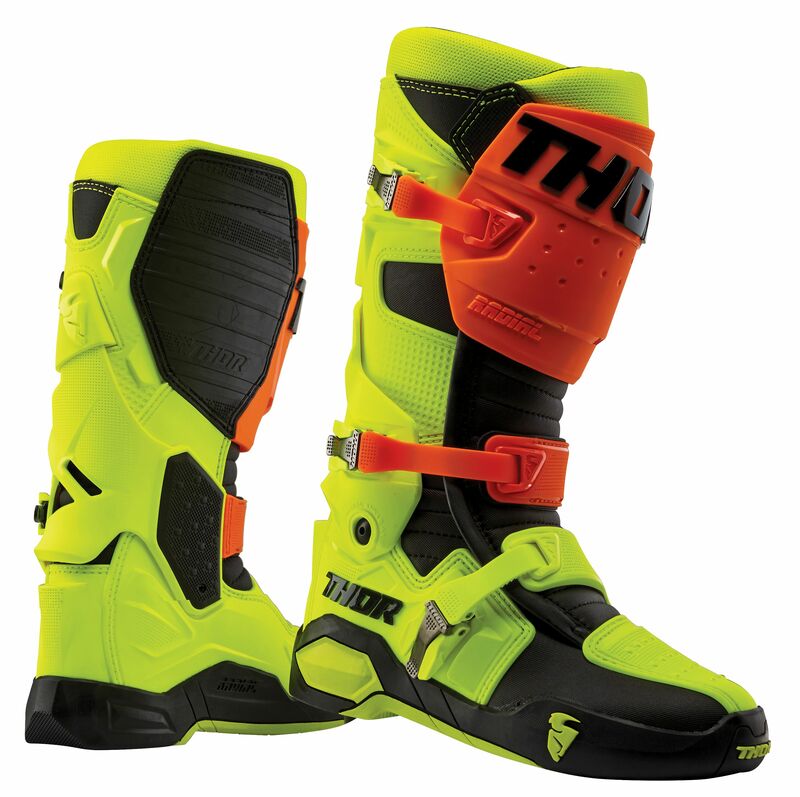 After years of rigorous development and professional athlete testing, THOR is proud to introduce the class-leading Radial motocross boot. The concept was simple; to create a quality boot, featuring premium materials and performance, at a price point that any serious rider could afford. The Radial boot is now ready for deployment to the motocross masses. Sizes: 7-15, retail price 219,95 € (+VAT). Available in March. 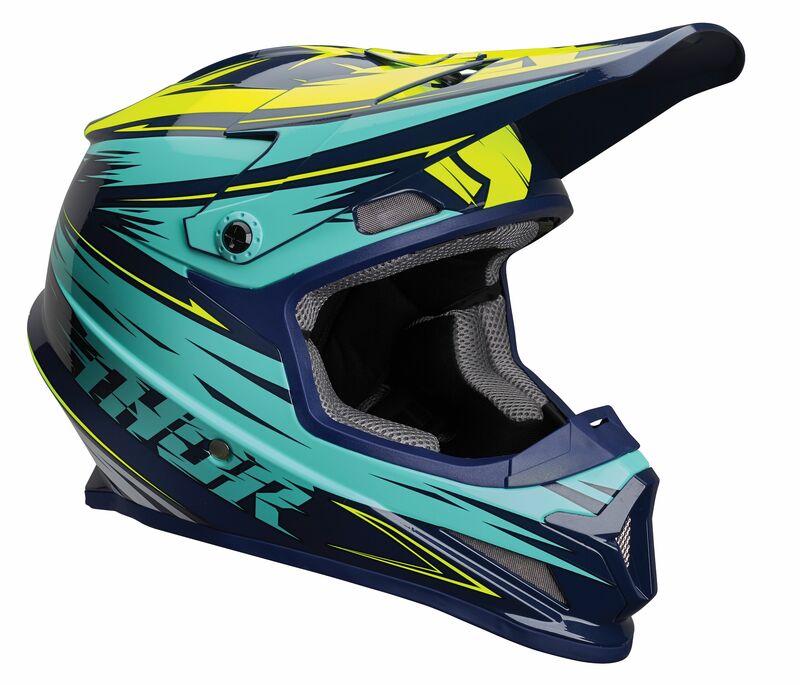 THOR offers gear, protection and helmets for the young riders. The new Youth Sector Bomber Helmet combines quality, comfort and the best safety equipment you can get with MIPS® to absorb and redirect rotational energies. Shell is made of injection molded polycarbonate/ABS, the visor is fully adjustable, the high-flow mouth vent with filter gives a good air intake. DOT and ECE 22.05 approved, available in sizes S, M and L.